a = Minimum operating clearance Drawbar pull performance figures are only indicative for comparison purpose. These performances are only possible for a short period of time. 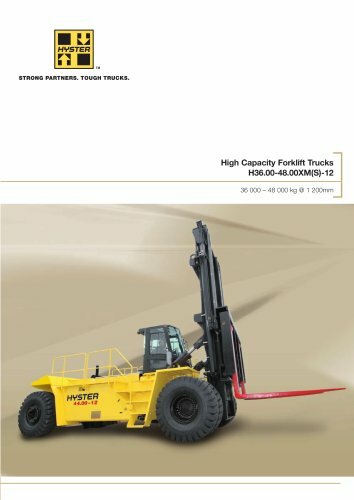 Hyster products are subject to change without notice. Lift trucks illustrated may feature optional equipment. The capacities quoted are in conformance with ISO 1074 standard Safety: This truck conforms to the current EU requirements.